"Shadow Of The Tomb Raider". Discover dark and brutal tombs. As she races to save the world from a Maya. Be one with the jungle. Network Features. It's great at capturing tension in rare instances, but the QTEs aren't over-used. There's a lot of shooting in Tomb Raider too. Up for grabs is xbox one game Rise Of The Tomb raider. PLEASE NOTE!!! DUE TO THE LARGE VOLUMES OF ATTEMPTED SCAMS ON EBAY I WILL NOW ONLY SEND TO VERIFIED ADDRESSES. IF YOU HAVE LESS THAN 10 FEEDBACK THEN PLEASE CONTACT ME BEFORE PURCHASING. FAILURE TO COMPLY WITH EITHER OF THESE WILL RESULT IN THE CANCELLATION OF THE SALE AND YOUR PAYMENT REFUNDED. All my games are originals and not backup copies. Each game has been tested and is fully working. RETURNS WILL ONLY BE ACCEPTED IF THE ITEM IS DAMAGED AND FOR NO OTHER REASON. Title: Tomb Raider. Weapons - Utilize a variety of weapons, including bow and arrow, an ice ax, and pistol. Tomb Raider - Sony PlayStation 1. Condition is Good. Dispatched with Royal Mail 1st Class Large Letter. Shadow of the Tomb Raider PS4. Condition is Like New. Dispatched with Royal Mail 1st Class Large Letter. She also has the ability to handle any obstacle in her path due to a dynamic animation system that places the focus on constant motion. Discover Dark and Brutal Tombs: Tombs are more terrifying than ever before, requiring advanced traversal techniques to reach them, and once inside they are filled with deadly puzzles. Key Features. Survive and Thrive In the Deadliest Place on Earth: Master an unforgiving jungle setting in order to survive. Title: Tomb Raider 2. Platform: Sony Playstation. Region: PAL. 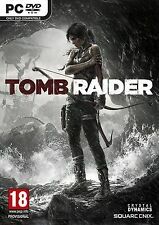 Tomb Raider (Microsoft Xbox 360, 2013). Condition is Good. Dispatched with Royal Mail 1st Class Large Letter. 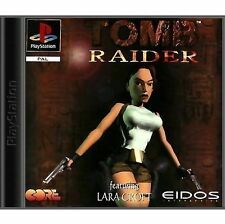 Tomb Raider PS1 Platinum, vintage game with usual age related wear and tear. This product has not been tested since last use some years ago. Condition is Good. Dispatched with Royal Mail 2nd Class. Tomb Raider - (Platinum) (Sony PlayStation 1, 1999) - European Version. Condition is Good. Dispatched with Royal Mail 1st Class Large Letter. 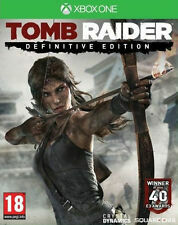 Tomb Raider Survival Special Edition (Xbox 360). Condition is Like New. Dispatched with Royal Mail 1st Class Large Letter. Game in super condition. Only played once. Comes in original box with photo book. 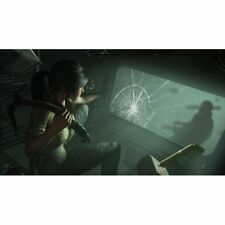 Tomb Raider Collectables: Games, Mousemat And A Sealed Display Box. Tomb Raider Collectables which include: 2 PC Games,TR 1 and the expansion for TR3. Mousemat still in original packaging. A Sealed Display Box for a Tomb Raider N-Gage game and a complete in box Tomb Raider Angel of Darkeness board game. The box is a little worn but the game inside is like brand new! 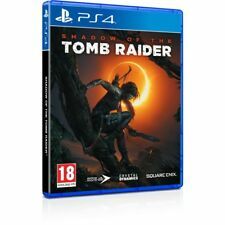 Shadow of the Tomb Raider PS4 Playstation 4. No visible marks to disc or case Stayed in console till I completed it. Any queries please ask. Dispatched with Royal Mail 1st Class Large Letter. Sent next day except on weekends or bank holidays. 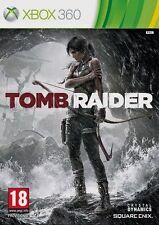 Tomb Raider (Sony PlayStation 3, 2013). Condition is Like New. Dispatched with Royal Mail 1st Class Large Letter. tomb raider ps4 definitive. Condition is Very Good. Dispatched with Royal Mail 1st Class Large Letter. Tomb Raider for Sega Saturn - UK PAL Complete with manual . Condition is Good. Dispatched with Royal Mail 1st Class Large Letter. Bundle Of 4 Playstation 2 Games - PS2 - PAL - Sonic The Hedgehog And Tomb Raider. Condition is Very Good. Dispatched with Royal Mail 2nd Class. 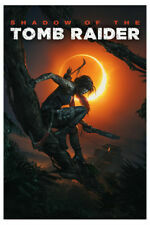 Tomb Raider 3 & 4 Double Pack -Fast Free Post complete. Condition is Very Good. Dispatched with Royal Mail 1st Class Large Letter. Condition is Very Good. No cracks on jewel case. 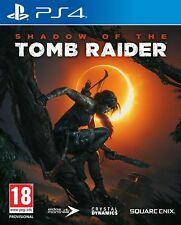 Shadow of the Tomb Raider PS4. Condition is New. Dispatched with Royal Mail 1st Class Large Letter. Sony Playstation 2 PS2 Adult Games Bundle. As photographed, overall Condition is Good some discs have a few marks but all in good working order. Dispatched with Royal Mail 2nd Class. The art of tomb raider book. Ps3 Games X6 gta red dead tomb raider sega ultimate collection . Condition is Very Good. Red dead not opened. Dispatched with Royal Mail. Lara Croft Tomb Raider: Legend (Xbox 360). 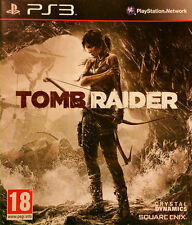 Title:Lara Croft Tomb Raider: Legend (Xbox 360). All of our paper waste is recycled within the UK and turned into corrugated cardboard. General Interest. Your item will be previously owned but still in great condition. 4 Ps1 Games,Tomb raider 1.Tomb raider 2.Tomb raide 3.Tony hawks 1.